This is where those at the back need to listen carefully. The following 11 films (six today, five next week) are required viewing. Within this selection alone, there are detailed, informative and historical stories such as The Wind Rises and fantastical, thrilling epics like Princess Mononoke. Not to mention the abstract narrative of The Red Turtle. These films wrestle with a five-star or four-star rating, switching from one to the other depending on the insignificant changes that have affected your fluctuating moods. 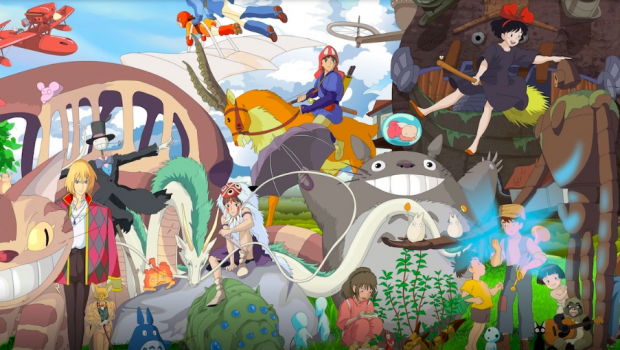 From such a high calibre of animated features, Studio Ghibli presents a diverse set of stories that can sometimes be deeply poignant and yet playful and profound. There’s also the timeless quality of the films. To watch Disney’s Oliver and Company, from 1988, is to go back in time and witness the shoddy animation of the era – even The Little Mermaid animates dolphins as if they are bulbous McDonalds characters. 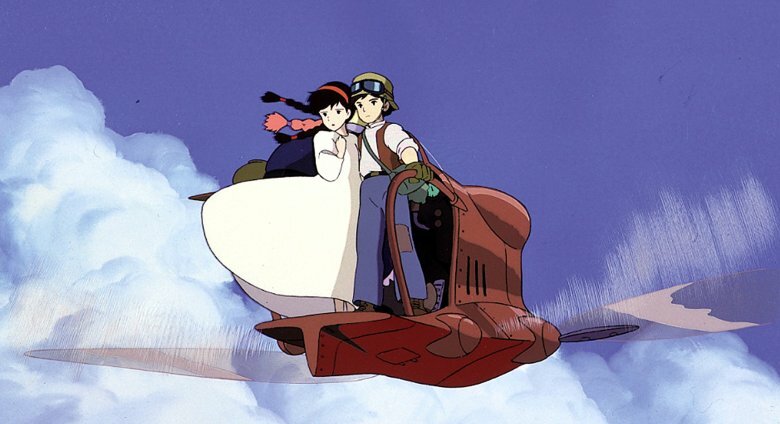 Miyazaki’s Castle in the Sky from 1986, in comparison, remains modern and influential. Unlike the previous half of the Ghibli canon, the balance on the following selection is near-on perfect and are only a tad lower on the scale of Ghibli due to a subjective opinion that merely nudges me to one tale over another. 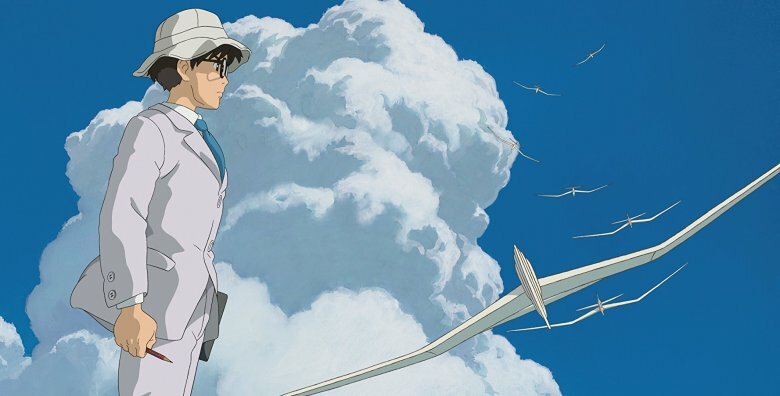 At first glance, and without watching, an assumed problem with The Wind Rises could be the dense, history-lesson subject matter of aircraft design and Japanese warfare. Those who have seen the film know that this is merely a disguise; one that hides the deeper layers of passion, love and ambition that we can all relate to. The Wind Rises is much more than mere education, it raises you up and lets you glide on the wings of its designer, Jiro. Indeed, this fictionalised biopic of Jiro Horikoshi pulls the film together. Young and obsessed with flying, Horikoshi dreams of planes day and night and, after reading about actual-aircraft designer Caproni, he dreams of him too – and he’s told that designing planes is better than flying them. 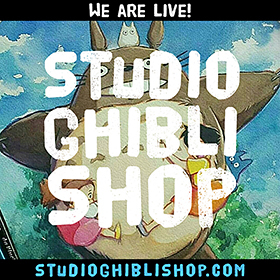 Jiro studies hard and falls in love with a girl called Nahoko. As he succeeds in employment with Mitsubishi, war approaches and politics begins to impact directly on his ambitious goals, corrupting his original intentions. A period story, this is Miyazaki letting his obsession with flight, planes and aeronautical engineering fully take hold. The idea of an icon and influential figure, in dreams, directing your hand is something many can relate to. Miyazaki himself was inspired by Walt Disney among others. The Wind Rises manages to achieve what Porco Rosso doesn’t – and it is superior for it. Arguably, The Red Turtle isn’t officially a Studio Ghibli film. 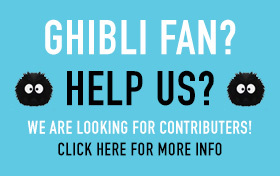 As a “Studio Ghibli presents…” feature, it doesn’t even qualify enough to earn a number on its spine on the DVD and BluRay release, akin to The Castle of Cagliostro. But, as a film that they were keen to support and co-produce with Wild Bunch, it is absolutely worth considering it in the canon of Studio Ghibli’s movies. They were a part of the production from the start, with Miyazaki himself asking the head of Wild Bunch to find the director Michaël Dudok de Wit for the project. Abstract in its storytelling, The Red Turtle begins with one man washed on the shore of an island. He is forced to learn, adapt and grow to survive. Initially, he intends to escape the island but the waves hold him back. He tries again, and the titular creature stops him from escaping. But, one day, he realises the turtle is on the beach. Immovable and only going to die, the man makes a decision that changes the rest of his life. The Red Turtle is unlike anything else Ghibli has produced. It is ambiguous and begs to be interpreted in different ways. It is equally personal and private, as it is broad, encompassing and profound. 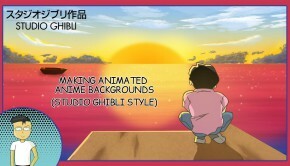 Ranking it on such a list is difficult, especially as it is clearly a different breed of animation when compared to the anime design of Ghibli’s films. 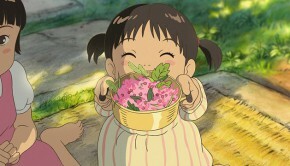 But, it is also this film that Miyazaki and Studio Ghibli wanted de Wit to make. 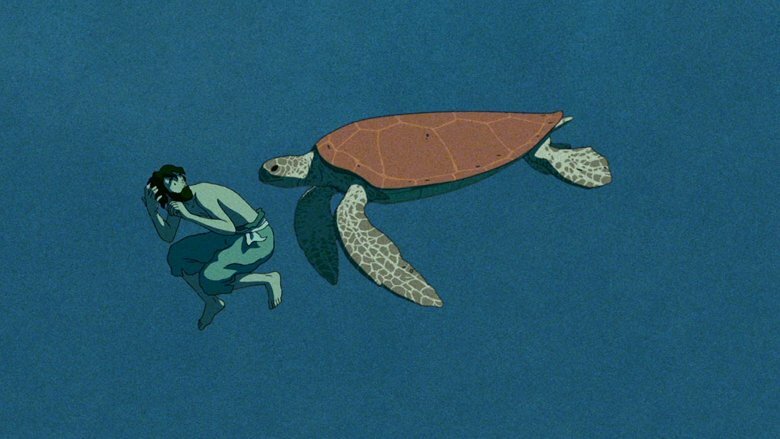 Without a single word spoken, and relying on grunts, score and sound effects, The Red Turtle is accessible to all. A tale that can be analysed in different ways, The Red Turtle tells a timeless story that you only have to be human to appreciate. There is something deeply captivating about Miyazaki’s Laputa: Castle in the Sky. More than that, I suspect Disney was desperate to recreate this type of world when struggling with the dismal Treasure Island. In both films, pirates on complicated flying vessels are on the hunt for a mysterious castle that apparently exists beyond the clouds. Then again, both owe a debt to Robert Louis Stevenson. In any case, as Ghibli’s first theatrical release, this clearly made waves. It proved that the vision of the studio was ripe for an audience and marked a clear development from Nausicaa. In a similar way to Kiki’s Delivery Service, Miyazaki manages to reinvent pirates in the same way he reinvented witches. They are flying high in the sky and much more diverse and interesting than Jack Sparrow lookalikes, peg legs and parrots on shoulders. It can feel a little busy in the narrative but such likable characters, a fast pace and a sublime Joe Hisaishi score means you can forget about any minor quibbles. Hisaishi’s score was originally an electronic-orchestral dub but he completely reworked it to become gloriously symphonic in 2010 proving that touching up a film doesn’t have to be as problematic as Star Wars. Inspired by Han Christian Andersen’s The Little Mermaid, Ponyo is unrecognisable in its Ghibli form. As a baby goldfish, Ponyo manages to escape her underwater home and stumble upon a small village, where she meets a young boy Sōsuke and his mother, Lisa. Initially, a small blob creature, Ponyo begins to become human, and despite her father’s greatest efforts, she cannot be contained underwater and breaks free – with disastrous consequences for Sōsuke’s village. A tsunami rises up and smashes into the town and storms rage, flooding the village. The inhabitants are stranded and Sōsuke and Ponyo travel by boat to reach his mother, who works in a nursing home while her father is hot on their tale to try and restore balance to the world. What separates Ponyo a part from the rest of Miyazaki’s films, is the innovative use of colour and line that sweep across the ocean. When the waves rise and carry Ponyo, there are inventive patterns and subtle uses of colour that create a more textured surface. Ponyo isn’t a flat film by any means, but as a release that dropped after the Miyazaki trifecta of Princess Mononoke, Spirited Away and Howl’s Moving Castle, he clearly decided to approach it differently. 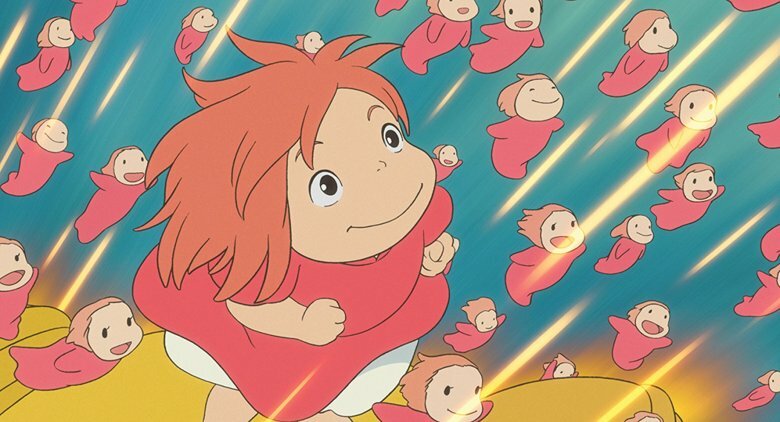 There is an innocence and energy that’s infectious; you cannot help but be swept along and Ponyo, though not quite as innovative as the next seven films, is unique unto itself. Sometimes, Princess Mononoke is considered the finest Studio Ghibli film. The slightly lower placing here is due to the unnecessary details that stretch the film out a little too long. That said; it has an environment and collection of mythical characters that pull you back to the story at every turn. Scarred for life in the opening battle, Ashitaka is sent to journey to a foreign land to find a cure. He meets a monk who tells him of spirits that wander the forest. He reaches Iron Town, a manufacturing town that uses social outcasts as workers, and Lady Eboshi resides within. She tells Ashitaka of San, or Princess Mononoke, a fighter for the forest who wants to kills Eboshi. But things are not so simple and there are many reasons to resent Iron Town. For one, their methods of survival include destroying the forest land. Ashitaka must understand how to bring peace and ensure that the war does not leave either side destroyed. Akin to Nausicaa, Princess Mononoke includes a large war, an environmental message and strong, opposing female characters in San and Lady Eboshi. 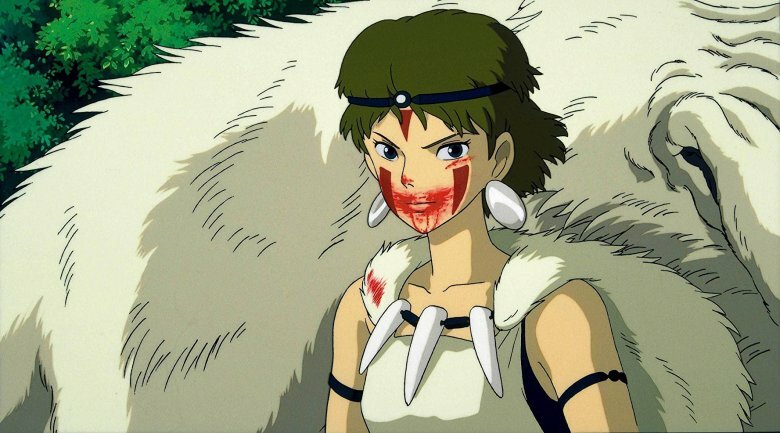 Princess Mononoke is a fierce and resilient character; someone who has a primitive skill set unlike anything you’ve ever seen. The set-up, as Ashitaka is infected by a demon, is equally engaging while the ever-escalating war proves how high the stakes are. It is easy to see how Princess Mononoke, released in 1997, became the highest grossing film in Japan, until Titanic stormed through. 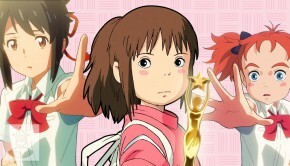 It’s box-office in Japan was surpassed by Spirited Away, four years later. 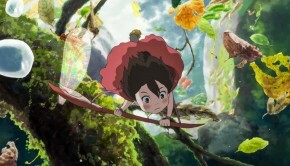 Despite a dismal performance in America, it retains the seventh slot in the all-time box-office blockbusters for Japan (Among others, it is slightly behind last year’s Your Name and Howl’s Moving Castle) proving that my thorn regarding length is clearly a non-issue for millions of fans. Instinctively, a Japanese take on the Mary Norton’s ‘The Borrowers’ tales seems like a difficult sell. Clearly, its high positioning proves there is more to The Secret World of Arrietty than meets the eye. Directed by Hiromasa Yonebayashi, the lush foliage and detailed interiors bring this animation to another level. The story itself is also kind-hearted and warm with a unique and satisfying soundtrack by singer and harpist Cécile Corbel. Shō is sick. Isolated to his bed, he has to stay with his aunt and her maid in the childhood home of his mother. While observing the garden he spies a small person, Arrietty. We are then taken to Arrietty’s tiny family, who live under the floorboards. Her father, Pod, finds and “borrows” things by night, while her mother takes care of the home. Arrietty herself is inquisitive and keen to learn her father’s skills. Shō, on the other hand, is intrigued and wants to take care and help the family. But the maid, on the other hand, has plans of her own and the family know they are in danger. Between the bed-ridden Sho (voiced by Spider-Man himself, young Tom Holland) and the borrower family (Lady Bird’s Saoirse Ronan, Mark Strong and Olivia Colman) themselves, The Secret World of Arrietty is a joy to explore. The enormous plants and everyday objects are suddenly towering skyscrapers and climbing walls. 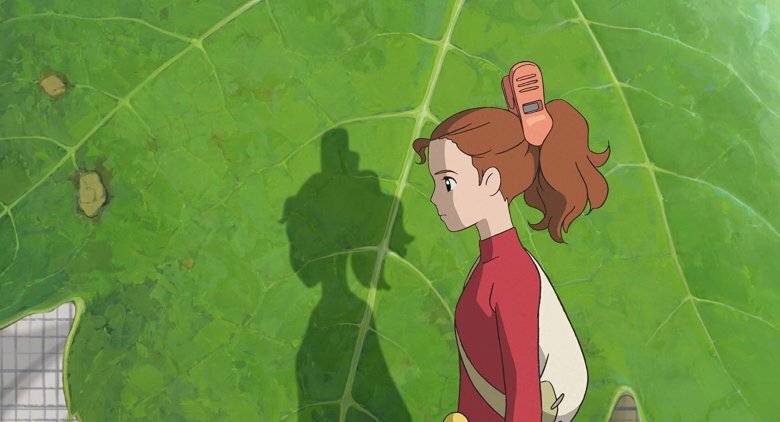 There is a sense that, at the core of Arrietty, the fun creeping behind the walls and floorboards is the insatiable hook that pulls you in. The somewhat simplistic story (a real-life friend, the danger of the destruction of their home, etc) is powerfully overshadowed by the utter delight to be in the company of such minuscule folk.